Cliche as it may sound but I totally agree that travel is the best education anyone can have and adventures are the best way to learn. Last summer, we are blessed to visit Japan for 7 days. 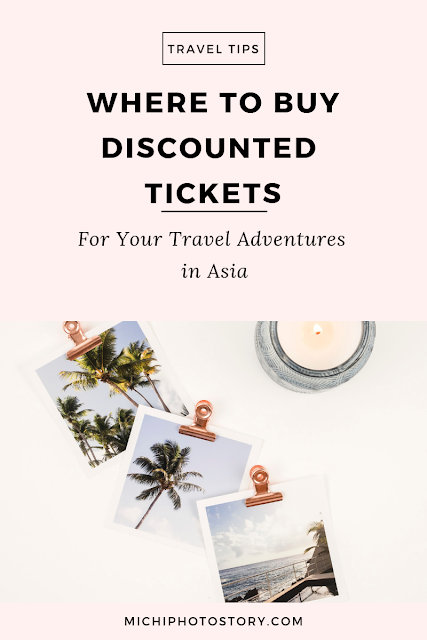 For the record, it is the longest time that we’ve visited one country because most of the time we will visit two countries in one trip to save on travel tax and terminal fee. In just one week, I have learned a lot of things in Japan and it is very different from our home country. Now I understand, why even there is a language barrier, people still go to Japan. Given a chance, I wanted to go back again. 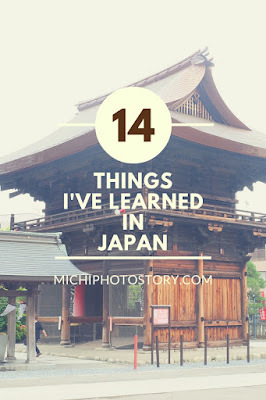 Sharing with you the things that I’ve learned in Japan. 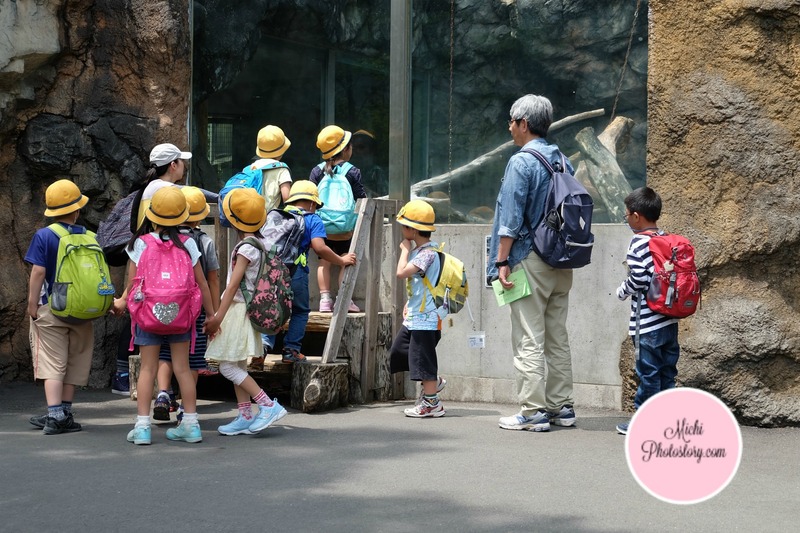 If you are first timer in Japan, these things might surprise you too. From the moment I stepped out the airport and traveled to our hotel, I really notice that Japan is a clean country. I’ve been to Singapore but Japan is cleaner. Everywhere we go in Tokyo, the place is very clean. A. We are used seeing two trash bins, one for biodegradable and one for nonbiodegradable but in Japan, there are so many trash bins so segregation is very significant. B. Do not eat while walking or traveling. If you are hungry or thirsty, you have to sit down and eat. C. In a hotel room, there are two available slippers, one for room and one for toilet. 2. Transport System is very efficient. Japan transport system is very efficient. 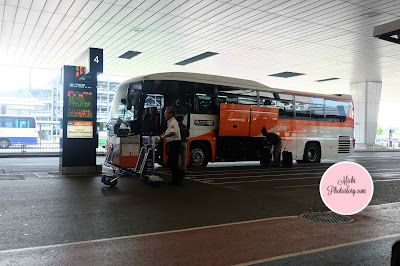 We were sitting outside the airport waiting for our airport limousine bus schedule and we noticed that the bus were really on time, they arrive before the schedule and leave on time. Sorry na lang talaga pagnamiss mo. At airport limousine bus, they give bag tags for your luggage and you will present it before getting your baggage. Unlike here in our country na kakaba-kaba ka pag may bumaba at baka makuha yung gamit mo sa ilalim ng bus. Hehehe! I did not experience traffic during our stay when we rode the bus. The trains are very efficient and punctual too. Looking at the train map made me so confused, parang ayaw ko na magtrain at baka maligaw ako but I have to because taxi is not an option because it is so expensive. If you are a tourist, you need to download an app that will help you in riding the train. It will inform you about the fare, travel time, transfers and train stations. You need to know the fare because when you buy tickets, you will click the fare and not the name of the station. You can purchase Suica or Pasmo card to save time in buying train ticket. 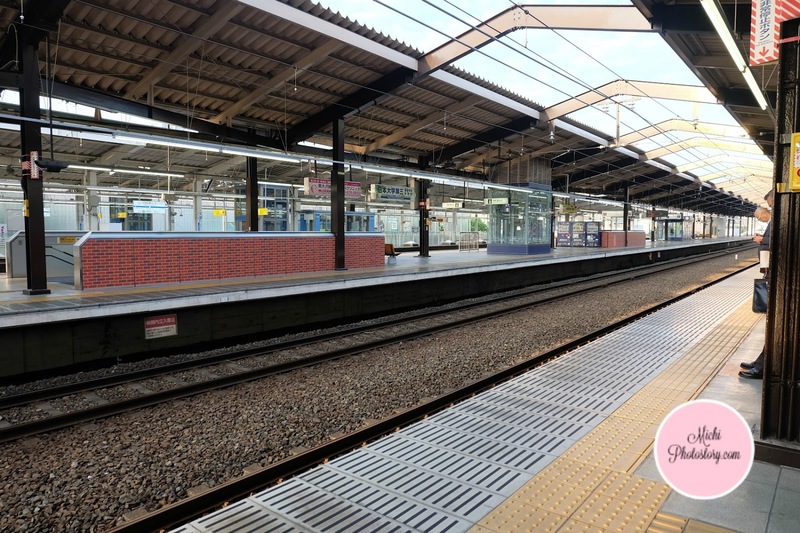 Aside from knowing the station, you need to make sure that you will ride the correct train because there are so many types of a train ride, it can be local, rapid, semi-express, express, semi-special express and special express. Local means it will stop in every station and other types meron skip. Before going to Japan, I already saw a video where the Japanese fall in line while waiting for the train. They really wait for the passengers to alight before entering the train. So nakita ko na ganun talaga. It is the same in Singapore and Hongkong. Don’t speak too loud or if possible don’t talk on the phone while inside the train. There are reserved seats for priority passengers so make sure you are sitting in the right place. Here in our country, we stand anywhere in the escalator. We can stand at the left, middle or right but when you go out of the country, you need to know what side are you going to stay. In Tokyo, Japan, if you will not climb up or down, stay on the left side but if you are in a hurry, choose the right side. 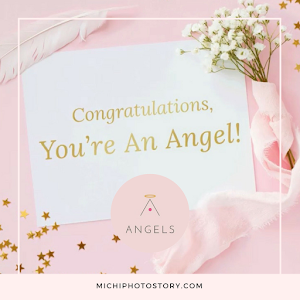 On our first day, we were eating at McDonald and we were surprised when we saw diners holding their trays, they went to the trash bin and segregate their trashes. So there is no staff who will clean the table or clear your trash, you have to do it yourself. It is not only in McDonald but everywhere we go even in Sanrio Puroland, zoos, park and museum, you have to clear your table. The only time that we did not clear the table is when we ate at The Royal Host. I’m not joking but vending machines are really everywhere. While going to our hotel, I noticed that almost all corners have vending machines. It seems that Japanese likes to use vending machines. A. 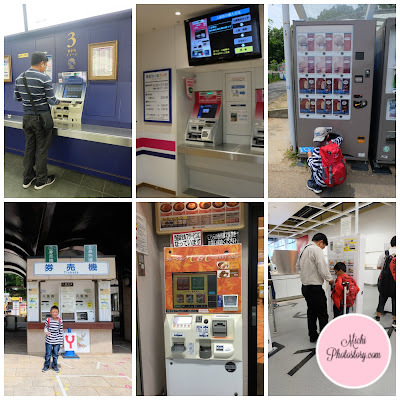 Use vending machines if you will buy train tickets or cards. In Hongkong and Singapore, I bought our Octopus card and EZ Link card at the counter but in Japan, you need to buy, load or adjust your fare at the ticket vending machine. Good thing there is English language for this. B. We bought zoo tickets, museum tickets and park tickets at the vending machine. There is no other way to buy the attraction tickets except for Tokyo Disney, I bought our park tickets at the counter. C. For drinks and food, it is normal that there are vending machines. Just drop your coins and press the button. But I was shocked when I need to use the vending machine just to order food, and present the receipt at the counter. D. If you will recycle your plastic bottles, you need to use vending machines too. A. In the Philippines, whenever we buy something we just pay directly to the cashier but in Japan, you have to use the money tray. The cashier will not get your money if you hand it to her/him, they will point you the money tray. B. 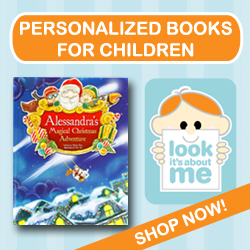 Taxes are not included in the price so sometimes you will see two prices, one without tax and one with tax. C. There is no bagger, we pack our own groceries or stuff whenever we buy something. Some groceries even charge for plastic bags, 2 yen per bag. 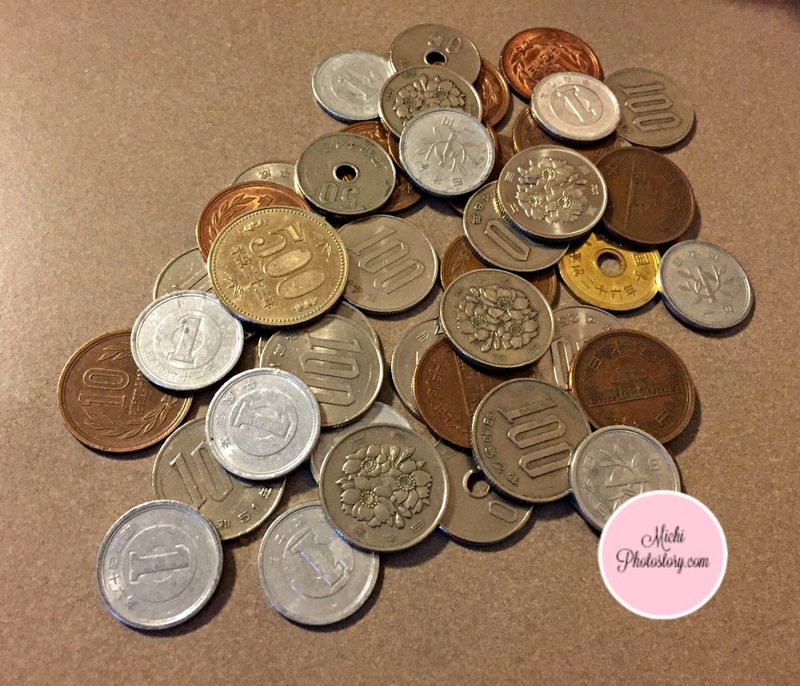 Japan is a highly developed country but not all accepts credit cards so make sure you always have cash. I do not see money changer during our trip so make sure you have Japanese Yen before leaving the airport. Don’t expect that there is free wifi everywhere so I suggest you rent pocket wifi or avail the roaming surf in your postpaid account. I don’t know why my roaming is not working properly, I can receive text and call but I cannot send text or call so I just activated my Globe surf roaming at P599 for 24 hours so I can message my husband. It is obvious that they always fall in line in the train but even in other places like theme parks, they will automatically fall in line even there is no staff na nagpapila. Whenever they see someone standing, makikipila na sila sa likod mo. I also noticed this sa mga nagfield trip na kids. They are so disciplined, sa isip-isip ko kung sa Pinas yan habol na ng habol ang teacher. Hehehe! Japan is one of the safest countries in the world so when we went to Japan, I have peace in mind that my son and I can tour Japan safely. I even see small children who are riding trains alone and even toddlers who are on a field trip have no guardians. I did not see security guards in the mall, groceries or restaurants. No one is checking your bag. 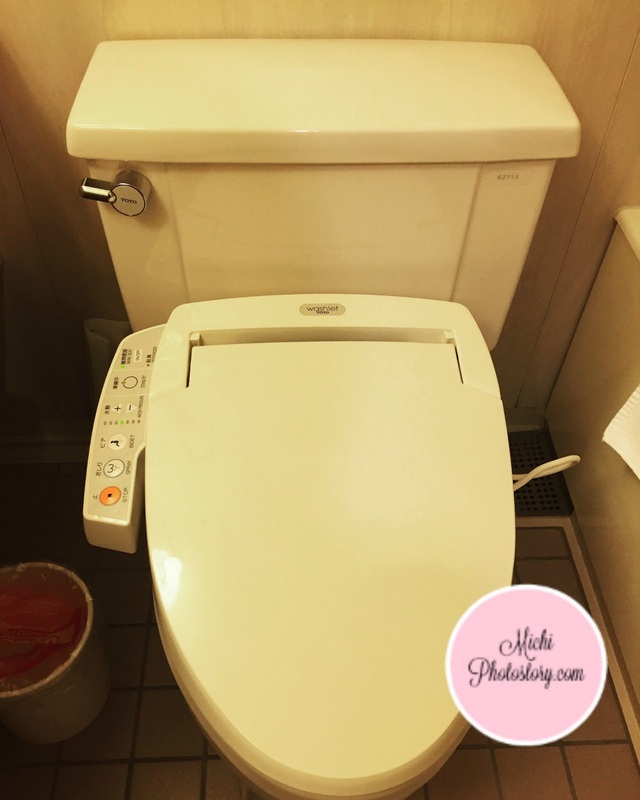 I’ve been meaning to use the toilet in Japan because it is very unique and true enough, it is very different from what we have. It is something that I really miss in Japan, you have warm seat and different buttons for bidet, deodorizer, scents, sounds and many more. You can even adjust it according to your preference. 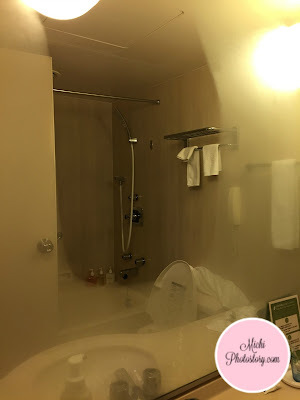 It is very common that the bathroom mirror will have moist after you take a bath but in Japan, may space na walang moist. Amazing! 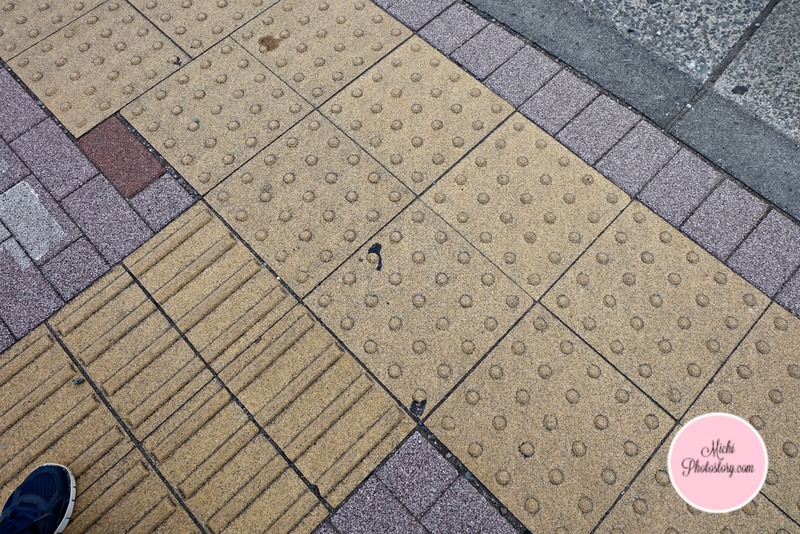 I always see tactile paving on the stairs, train stations and footpaths and my husband informed me that this is designed for blind or visually impaired. Ang bongga di ba! People will know if they need to walk, pause or if they are approaching a pedestrian crossing. 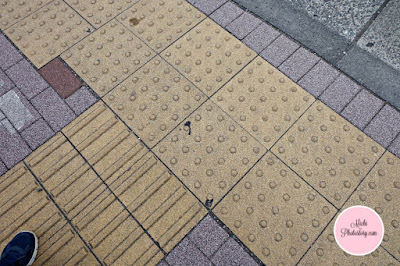 I also saw this in Singapore train stations pero in Japan, everywhere I go I see tactile paving. “Travel changes you. As you move through this life and this world you change things slightly, you leave marks behind, however small. And in return, life and travel leave marks on you. We also love Japan and want to go back. We have the same observations. So clean, disciplined people and very efficient mass transpo. I love the toilets too as in. Meron bang nabibiling ganun dito? Gusto ko magpakabit sa banyo. Hahaha! Yung sa mirror, i have a coating product for that. I'll try it in my mirror first, pag gumana, bigyan ko konti si manong ariel. Btw, wala din bellboy sa hotel kaya kawawa si hubby sa dami ng luggages namin. Hehehe! Oo nga, parang wala dito sa Pinas ng ganun toilet, baka mahal din kung for sale. hehehe!Parnag wala nga bellboy, di ko pansin kasi mas sanay ko na dinadala sariling luggage kung konti lang. hehehe! Pero dahil may baby ka, kawawa nga kayo. Love Japan from all the stories and pictures ive seen. Love to visit it someday with my family or even my close friends. I agree that life could be a lot easier when we deal with cultured people and you cam see them around when you use the public transportation system and even in diners and parks. How i wish Philippines is this organized too. How I wish that our country will be like this, nasa tao lang din talaga if we want change in our country. I hope you could visit the place too and see how wonderful place it is. Now I'm sad that I declined my in-laws' offer to go to Japan on December! But with two kulit kids, I won't survive! I'm intrigued with the money tray mode hehe. Maybe, when the kids are bit older na so you can enjoy it. I think the Japanese feel uncomfortable in touching customer's hand so they prefer to use money tray to get your money especially they have so many coins from 1 to 500 yen. True, I also want their MRT, very fast and efficient. Maganda talaga ang bus at trains internationally. I am also curious about Japan's vendo machine, ano ano ba ang meron? They use their vendo machine to sell food, drinks, tickets and even in ordering meals. I really want to go to Japan! Hopefully in the future! I envy how disciplined Japanese people are, I know we can be like that someday! Let's start on how we use the escalators! Hehehe! Oh Japan, you are part of my bucket list...hope to visit you with my kids one day. I've been wanting to bring my family to Japan, I'm just so scared about traveling out of the country with two little kids. Haha! Just a little bit more practice traveling within the Philippines then this will be our next destination! 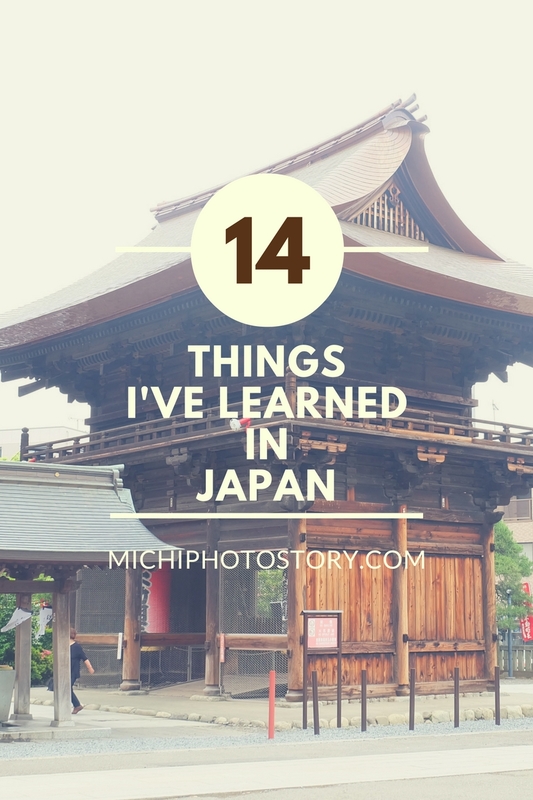 I've noticed all those things too during our past trips in Japan. Their discipline is so amazing. It's a good thing that the SM malls are starting to implement the escalator rule. It's a good start. Hopefully also, with the help of this admin, we'll find a better Phils and better citizens among ourselves. I hear stories like this all the time from my close friend who's an English teacher in Japan, especially the cleanliness thing! But it's the first time I hear about the tactile pavements. Genius! Japan is #goals talaga especially when it comes to cleanliness and the discipline of it's people. I can only hope that someday we can say the same for our country. Wow! I really want to go to Japan too! It's one of my goals to visit it along with South Korea! SoKor is also onn my bucket list, I hope someday I can visit it too. Oh no, my kids are so loud pa naman. Di pa pala kami pwede pumunta ng Japan , hihi. We have to train them first. My brother lived and worked in Japan for three years before. He's an engineer. I think my eldest might follow after his footsteps. It's his dream destination. Amazing! I love Japan even more! I hope to visit one soon!! :) Wanna try the Toilet keme hahahha!! You will enjoy the toilet, kakaiba e. hehehe! Seems they have a lot better than us, but I am still thinking positively than one of these days, we can be proud of our country in so many ways. hahah, wala lang, emotera. Japan is in our bucket list. I really admire their transport system plus hiw disciplined they are in maintaining their cleanliness. Thank you for sharing your experience. Gave me a picture of Japan and how to enjoy the place well. Thanks! Yes, I hope our train system will be like that too. Japan is on my bucketlist. I have traveler friends and they say that one thing that they love about Japan? the people. They are so disciplined. Even their way of living is inspiring. I'll never tire of Japan. I want to keep going back! We're saving up for our Japan travel, hopefully we can do it sooner. With all the beautiful things I am learning about Japan, it is now the first item on my bucket list and I would really love to visit the place with my boys one day soon. I agree that traveling leaves mark on people and I sure hope we can do it more often. Agree, if traveling is free, I'm sure I'm always out. hehehe! Why I don’t like Pokemon Go? Why do we Travel with Kid in Tow?